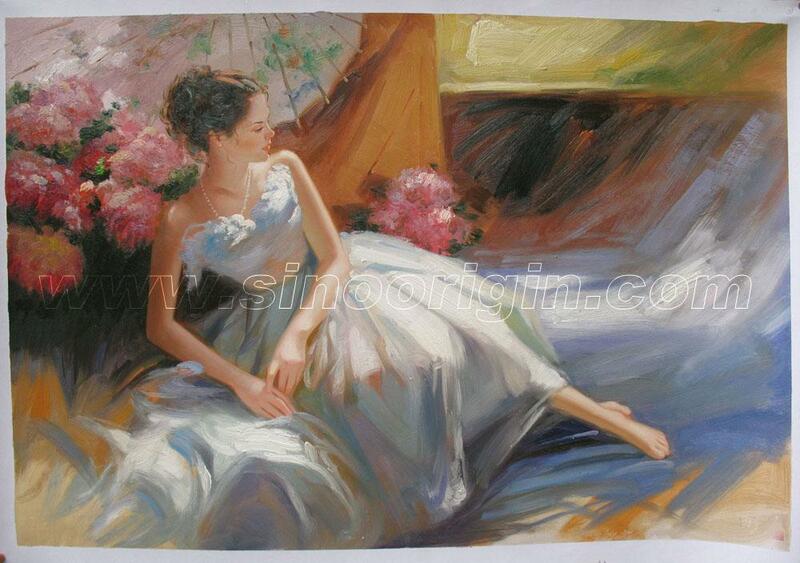 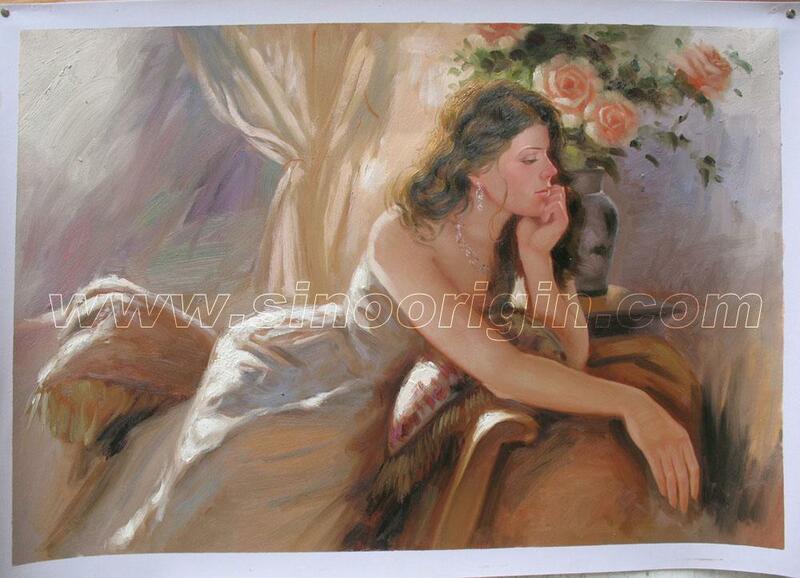 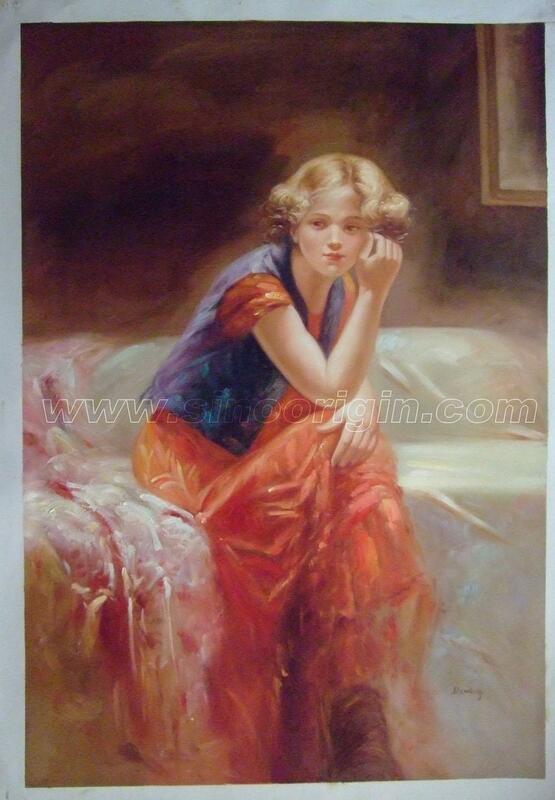 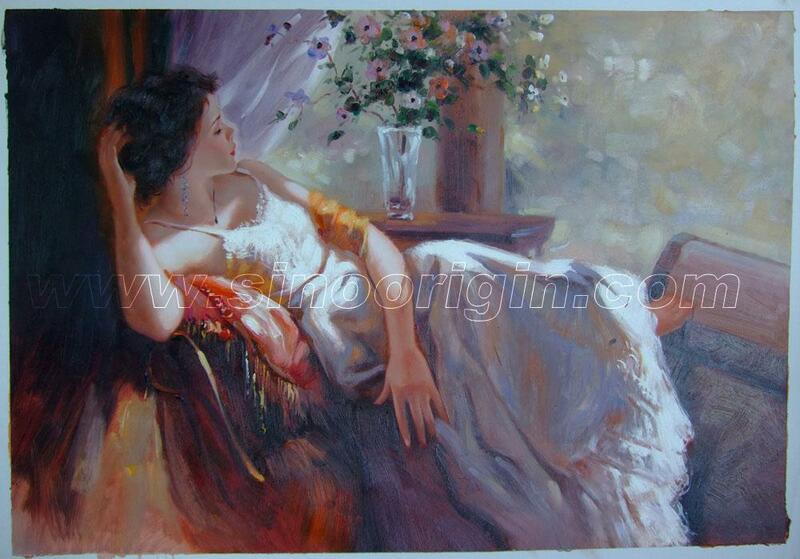 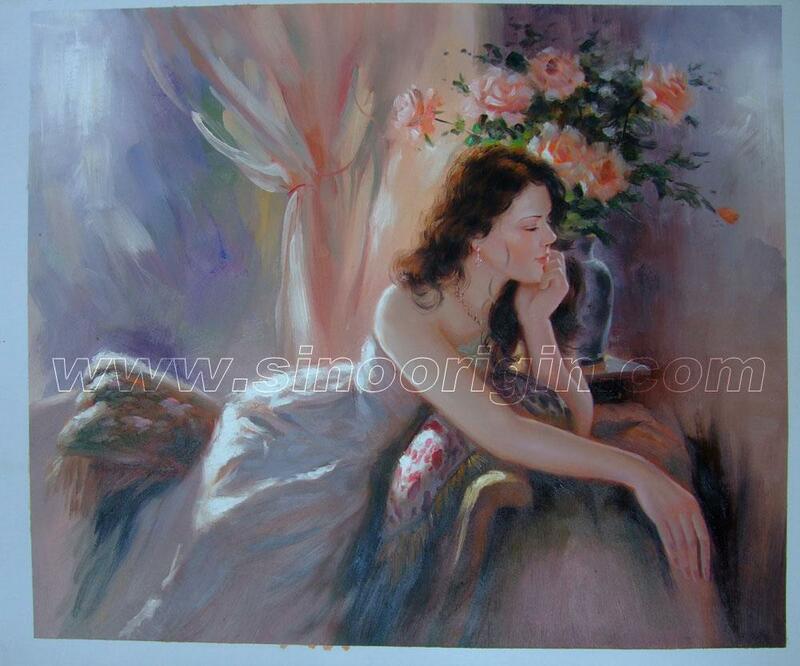 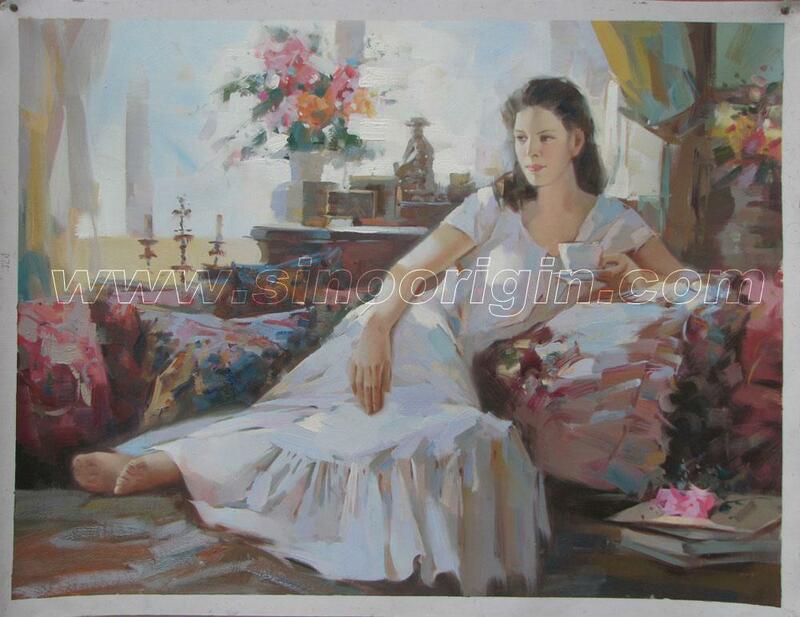 Pino style canvas painting art elicits our feelings of warmth, nostalgia and love. 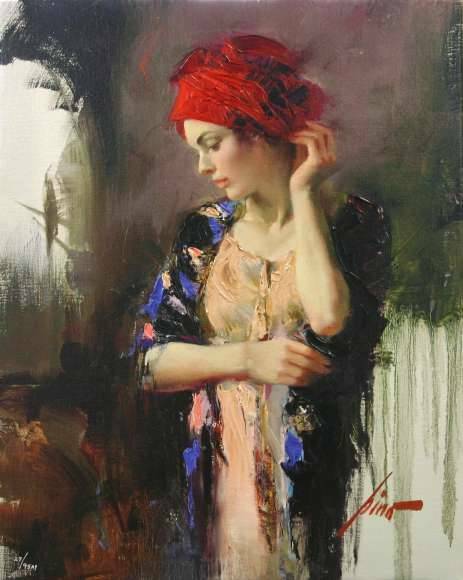 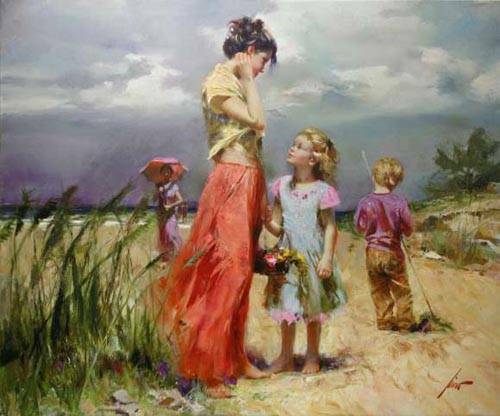 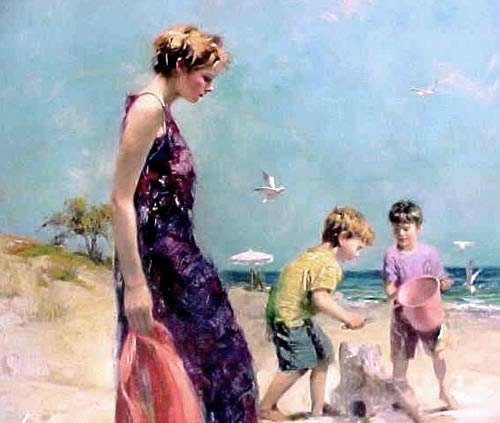 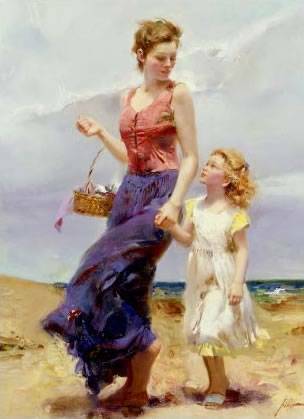 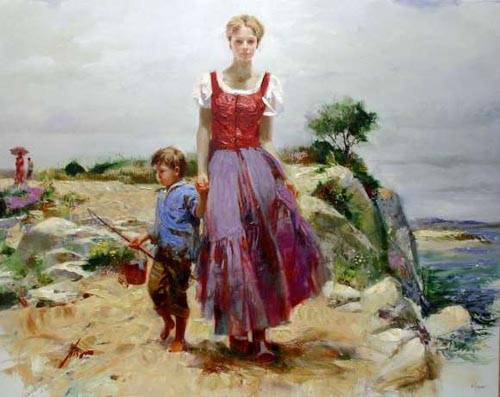 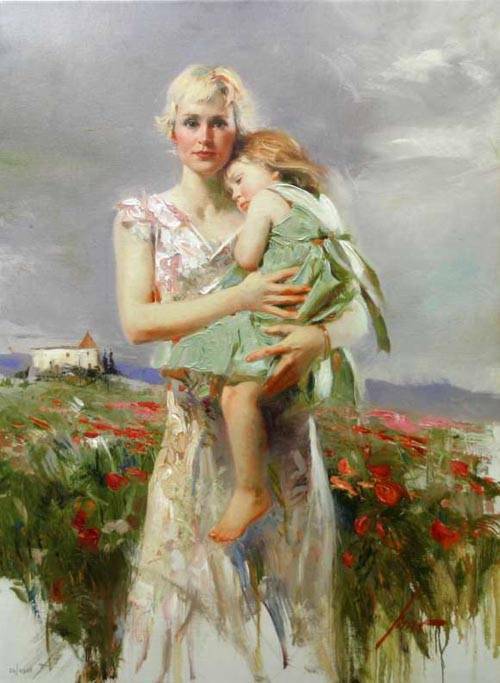 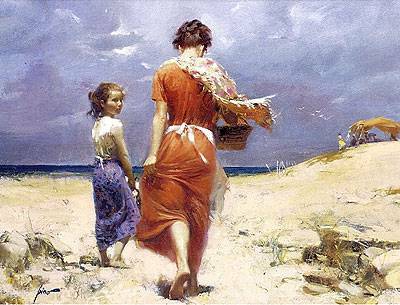 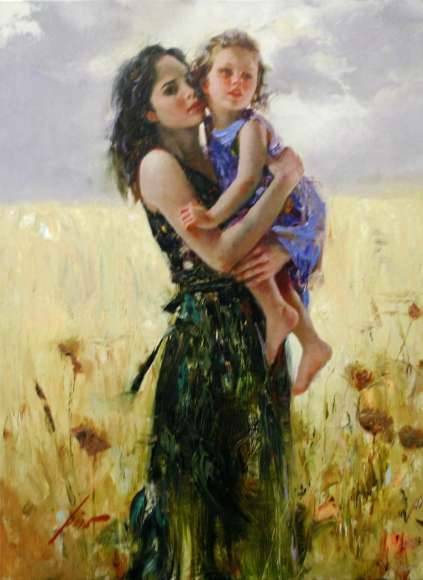 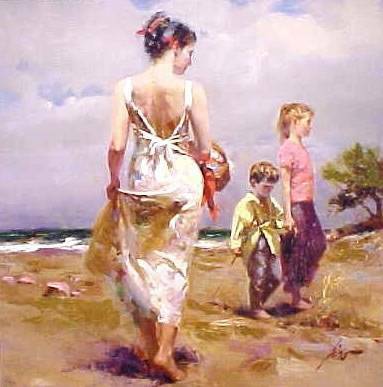 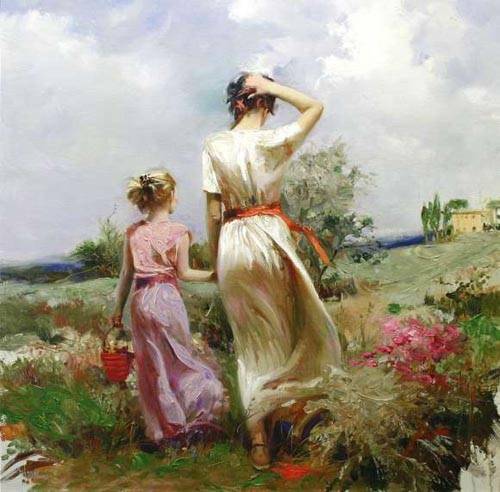 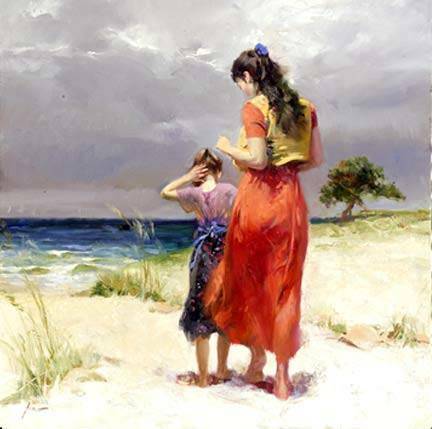 Pino paintings arely the theme of sunny beaches, typically style in the Mediterranean where he grew up. 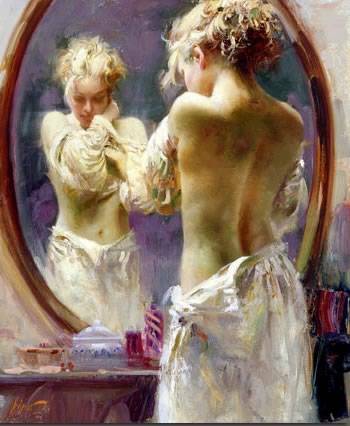 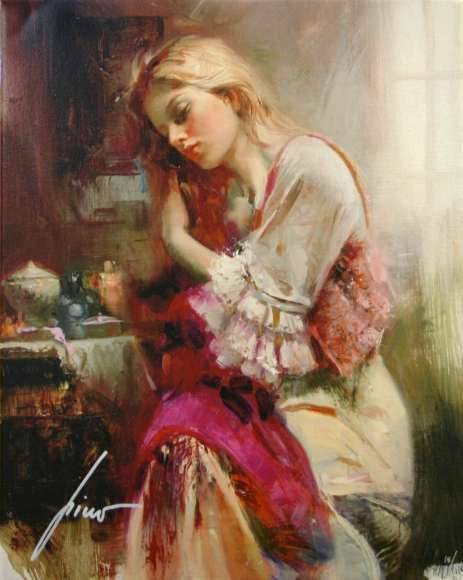 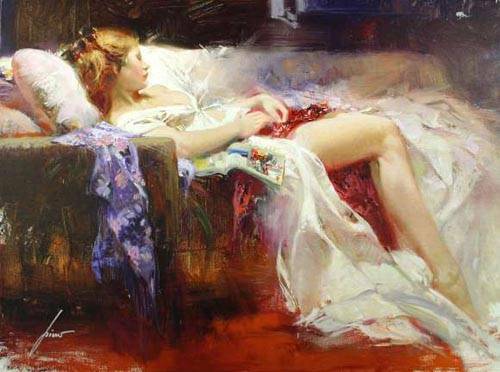 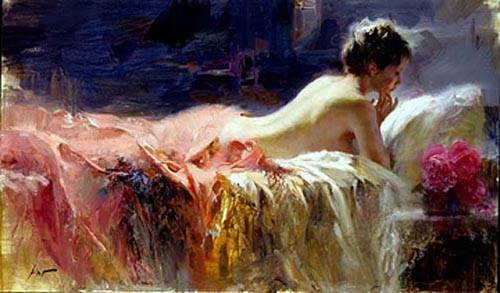 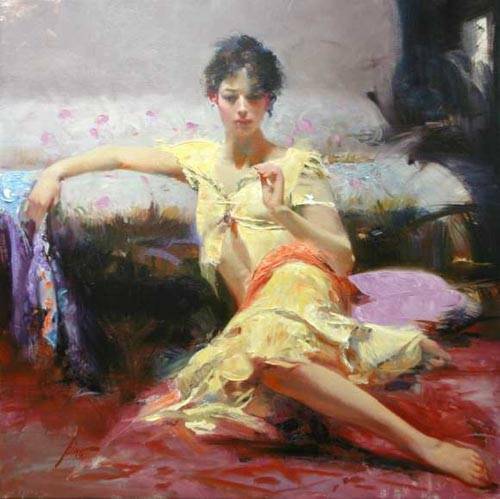 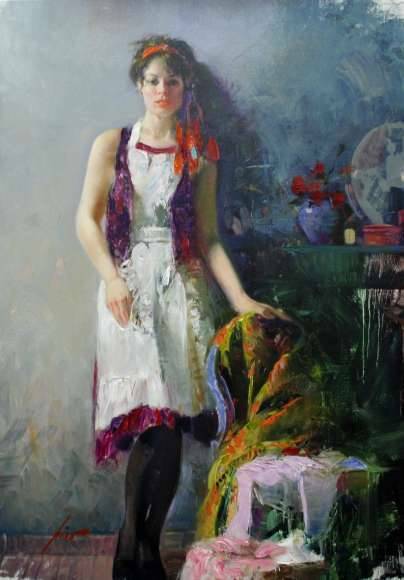 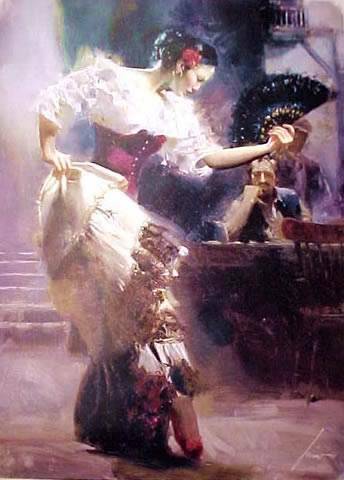 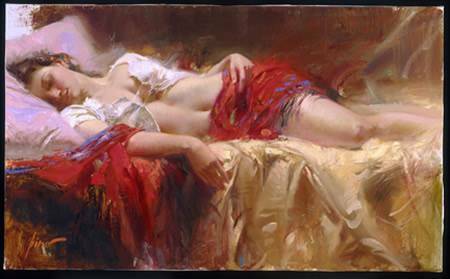 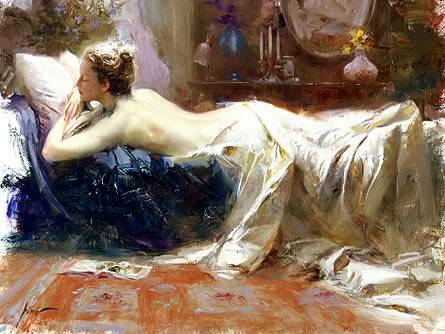 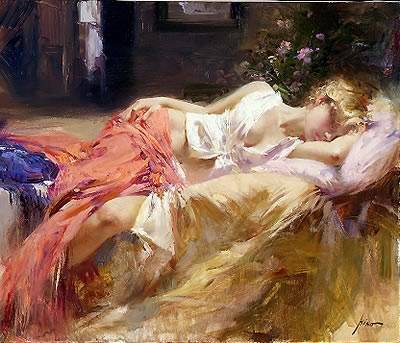 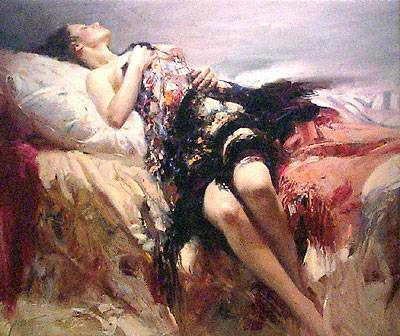 Many of Pino's characters are frequently depicted inhabiting sensuous boudoirs or dressing rooms, the characters mostly women dressed in flowing skirts and dresses, in anticipation of their husband or lovers. 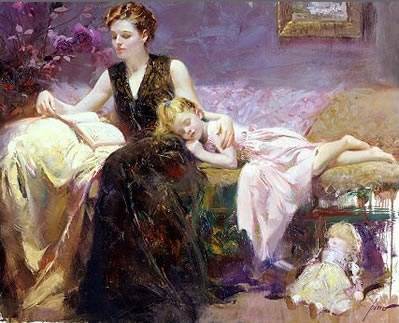 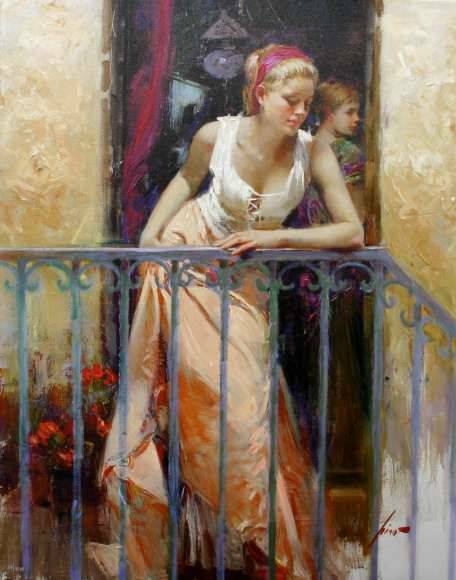 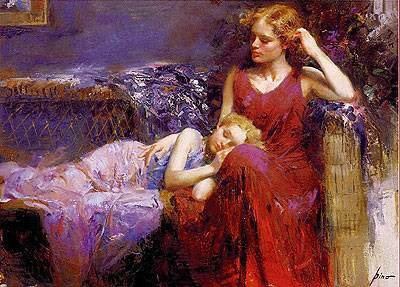 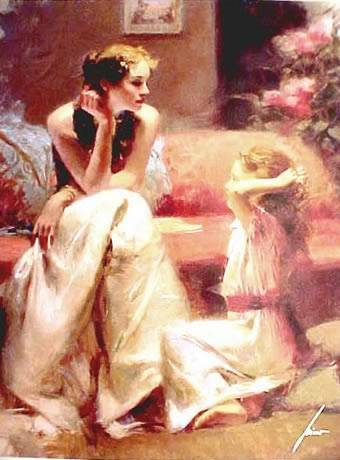 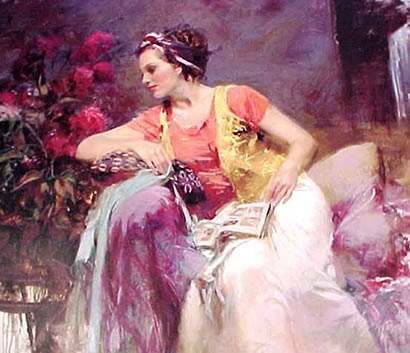 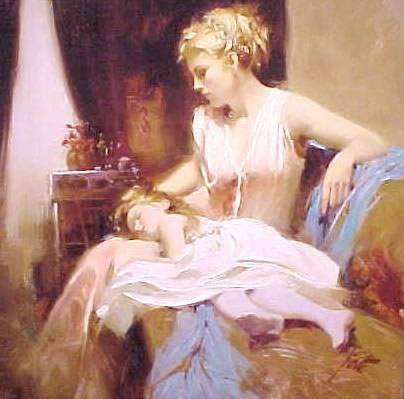 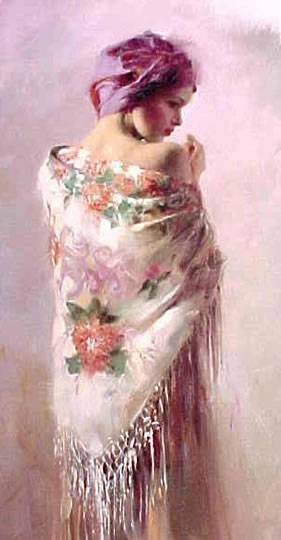 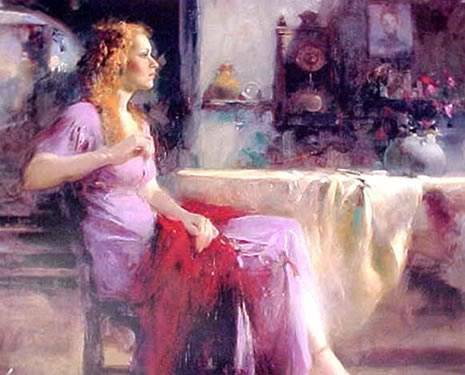 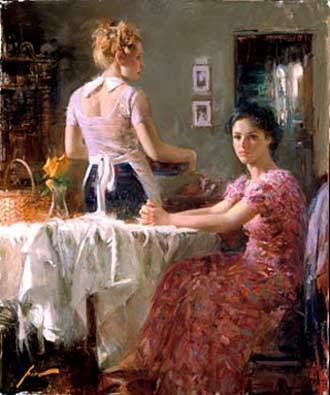 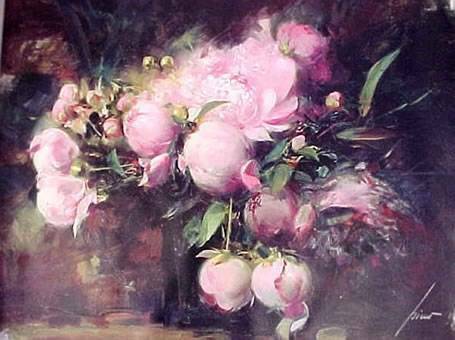 Pino's early paintings featured soft romantic. 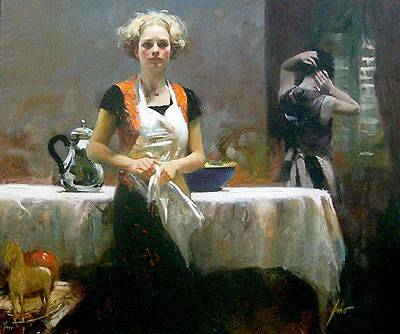 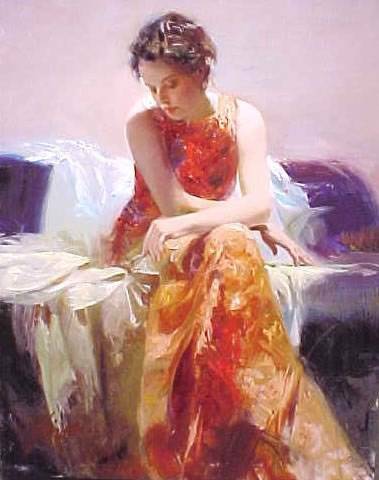 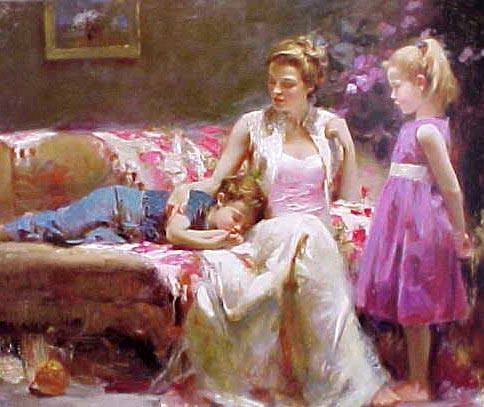 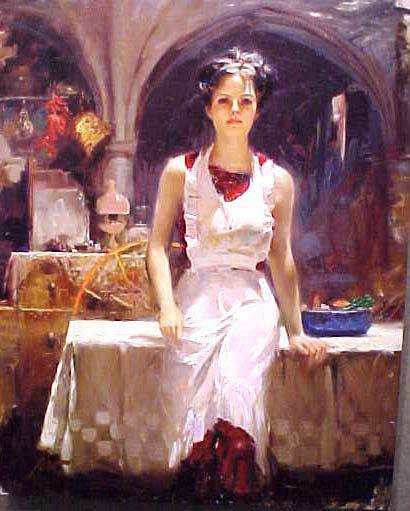 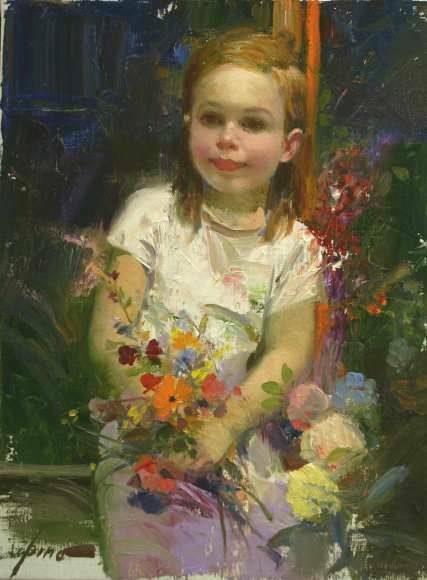 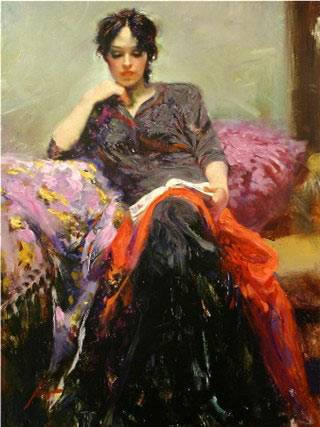 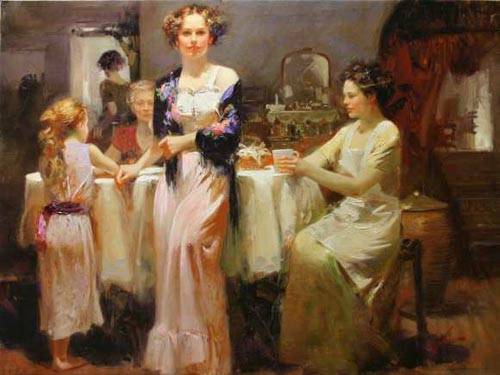 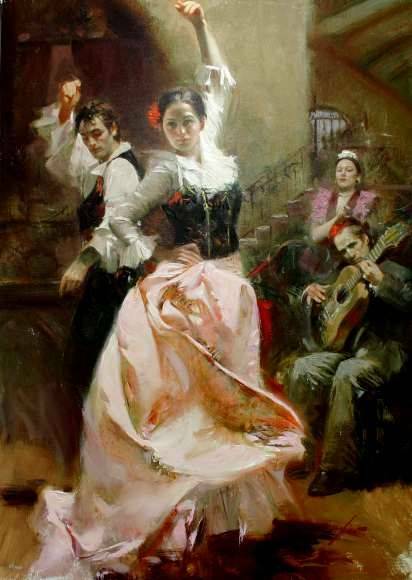 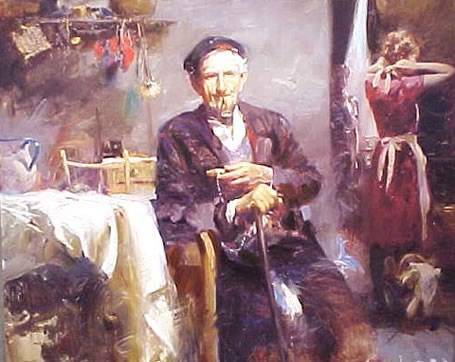 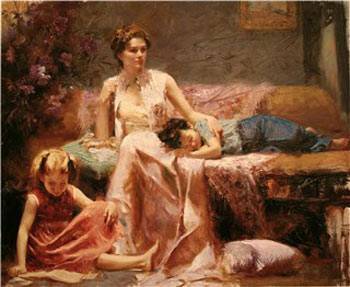 Pino oil paintings are famous of the ability to capture the movements and expressions of the painting subjects. 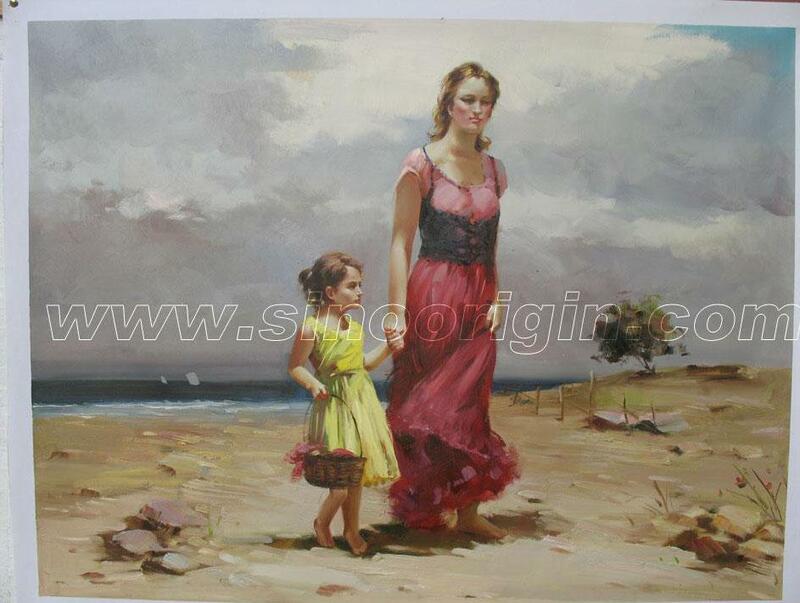 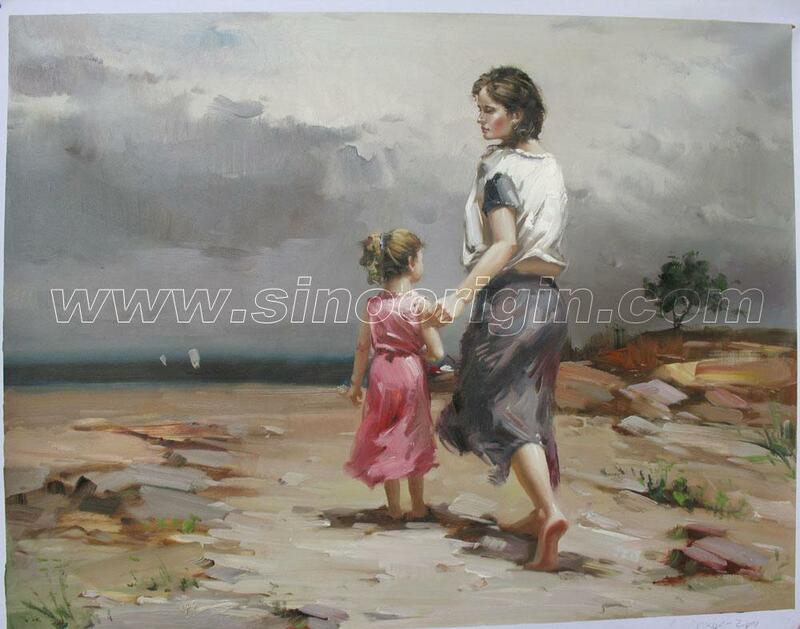 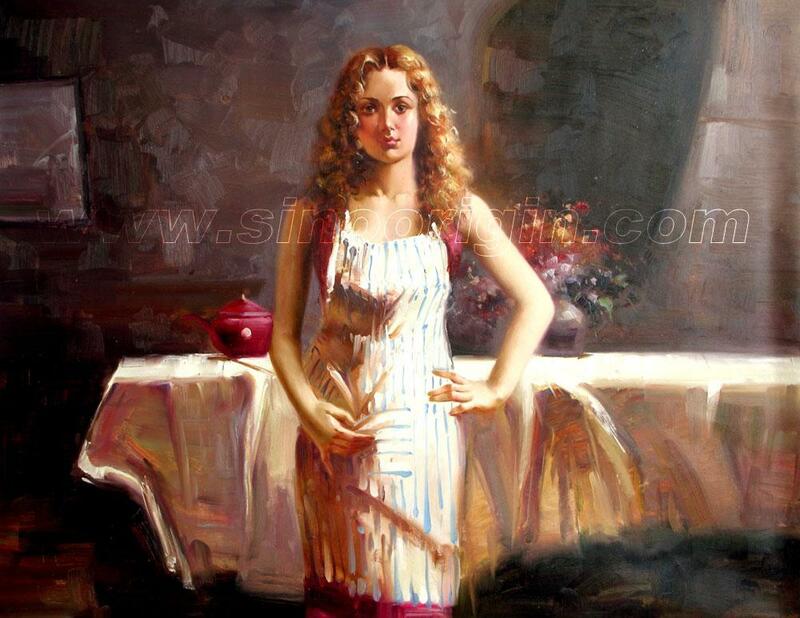 If you need Pino oil paintings, please choose the image that you want to paint with the required sizes and quantity then contact with us by email.